Seminar: "Courage & Conflict - Critical Conversations!" Constructive conflict is essential to building relationships, high-performing teams, and strategies for success. In this interactive session, explore strategies to foster improved interpersonal relationships, idea generation, and increased productivity. Become a catalyst for courageous communication with your staff, board, legislators, and other stakeholders and encourage others to follow your lead. Presented by Tom & Melissa Laughon, owners of Catch Your Limit, a leadership development firm in Richmond and VSAE's partners in designing and facilitating the Association Leadership Virginia (ALV) program. Explore strategies to foster improved interpersonal relationships, idea generation and increased productivity. Become a catalyst for courageous communication with your staff, board, legislators and other stakeholders. 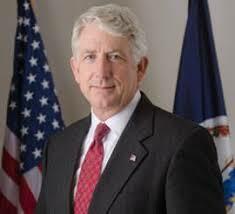 Mark Herring became the 48th Attorney General of Virginia on January 11, 2014. He is working to keep Virginia families safe in their communities and neighborhoods, promote justice, equality, and opportunity for all Virginians, and provide legal services to the people of Virginia and their government. Mark has lived most of his life in Loudoun County. After receiving bachelor’s and master’s degrees from the University of Virginia, he graduated with honors from the University of Richmond School of Law before returning to Loudoun and establishing a successful law practice in Leesburg. Mark got his start in public service as the town attorney for Lovettsville, and then was elected as a member of the Loudoun County Board of Supervisors. Prior to serving as Attorney General, he served eight years in the Senate of Virginia, representing parts of Loudoun and Fairfax Counties, working to bring technology-based economic development to the Northern Virginia region, secure transportation funding for needed projects, and make both state and local governments more accountable to the citizens of Virginia. He and his wife, Laura, have been married for more than 25 years. 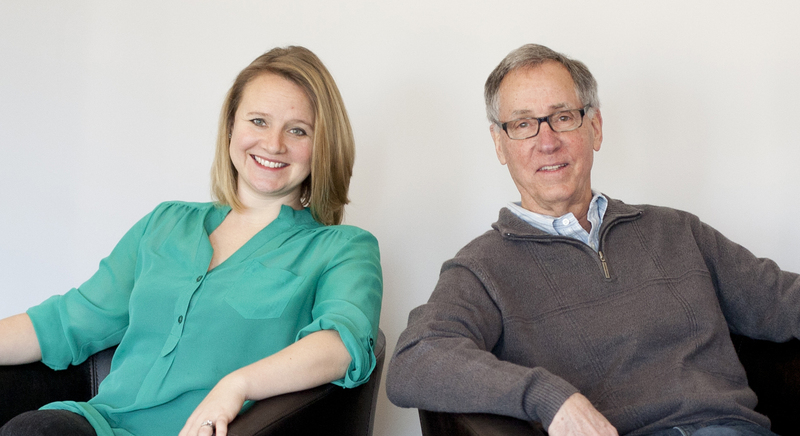 They have raised their two college-age children, daughter Peyton and son Tim, in Loudoun County, where they are members of the Leesburg Presbyterian Church. Melissa guides organizations, including Fortune 500 companies, national associations, and other groups willing to work hard, and eager to “catch their limit.” Her expertise in organizational challenges centers on change initiatives, creating engaged cultures, recruiting and growing the best leaders, building strong teams/leaders as well as succession planning. Melissa develops custom category and organizational leadership programs. She is also a contributing author/blogger on a variety of management topics. In addition to her leadership and organizational management practice, Melissa is an experienced and sought-after strategic planning facilitator. Her style drives organizations to dig deeply and look long and hard – in search of the perfect, yet sometimes surprising outcome. As a nationally recognized speaker, Melissa understands the importance of leaving an audience with actionable strategies applicable to participants both in their work and personal lives. Melissa’s interest in gauging and ensuring the favorable impact of an engagement is what drives her – and her clients –to success. After the initial assessments are reviewed and strategic plans are developed, she’s instrumental in partnering with clients to implement, evaluate, measure ROI, adjust when necessary and most importantly…celebrate when her clients catch their limit! Tom, a leading expert on creativity and strategic thinking, has proven that a consultant doesn’t need wingtips and a tie to be a trusted and effective advisor to corporations large and small. His creative journey from lead singer in a rock-n-roll band, eventually migrating to leadership and management consultant, strategist, keynote speaker, facilitator, professor, and writer is a fascinating one. After leaving his rock and roll career and returning to college, Tom spent more than 25 years in advertising working with some of America’s top brands: Comcast Communications, McDonald’s, Reynolds Metals, Corning/Mitsubishi, Samsung, International Dairy Queen and The Society to Protect America’s Eagles. In 1999, Tom founded Catch Your Limit. Tom and his team guide organizations, including Fortune 500 companies, national associations, and any organization willing to work hard, and who have the drive to “catch their limit.” Catch Your Limit works in leadership development, creativity, innovation, teaming and positive change. Regardless of the program, Tom and his team believe strongly that their individually designed and delivered programs will bring significant long-term return to organizations, both large and small. His commitment to “practice what he preaches” has made Catch Your Limit a petri dish for round-the-clock experimentation. The Hilton Richmond Downtown is offering a special rate of $169 plus taxes for room reservations. Click here to book your room. Valet parking at the Hilton Richmond Downtown is $27 per day with in/out privileges. They also offer day parking for $8-10, depending on the number of hours you are parked. The parking lot at 5th and Broad St is $20. Please note that nearby decks or parking lots offer “hotel” parking but are not secured or monitored by the hotel. Hotel will not be responsible for any damage or claims resulting from parking in these areas. Pre-registrations for lunch who cancel after Tuesday before the meeting or fail to attend will be invoiced for a no-show fee of $14. Members are allowed one (1) free pass per year.